Beanstack by Zoobean provides one place for local families and individuals to participate in your programs, including summer reading, adult book clubs, and early literacy initiatives such as 1000 Books Before Kindergarten. 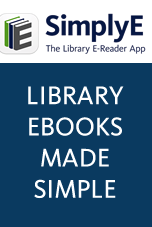 Patrons gain online tools to log their reading and activities and earn incentives aligned to individual library programs. Beanstack expands learning opportunities with step-by-step customizable guides for patrons to navigate and use library resources around a theme or subject. For staff, Beanstack makes it easy to register and assist patrons, create programs and to produce extensive reports. Each week, Beanstack sends readers a personalized text message or email recommending a book and event at your library. The entire experience is set apart by its mobile-first design, easily customized to match your library's brand and link directly to your collection. For further information, at your desk or on your mobile device, visit Huntington Beach Public Library's Beanstack site: here and explore our sample site for Summer Reading here.